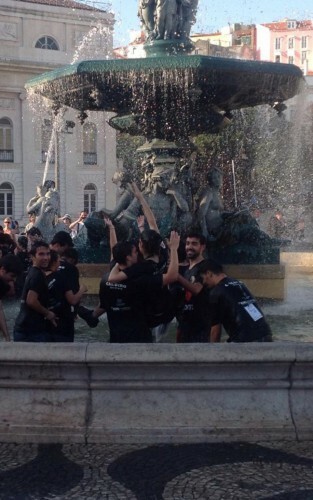 At first glance, Lisbon appears to be a hobbled together mish-mash from other parts of the world. With its hills, tram cars and suspension bridge over the Tagus River, you could be forgiven for thinking you are visiting San Francisco. When you pass under the Arco da Rua Augusta into the Praco de Comercio, its facades are reminiscent of the Hapsburg palaces of Central Europe, while nearby the Santa Justa elevator, designed by an apprentice of Gustave Eiffel, is a little slice of Paris right in the middle of Lisbon. Embracing it all is the outstretched arms of The Monument to Christ, built in 1959 and inspired by the Christ the Redeemer statue in Rio de Janeiro. But don’t be fooled by appearances, Lisbon is not a copycat – it has a vibe entirely its own and you should explore the many delights for yourself. Just as many of the great Portugese explorers did, embark on your discovery of Lisbon in the historical area of Belem. Head out early to start your day, watching the sun rise on the sparkling water of the Tagus, with the Vasco de Gama Bridge on the horizon. 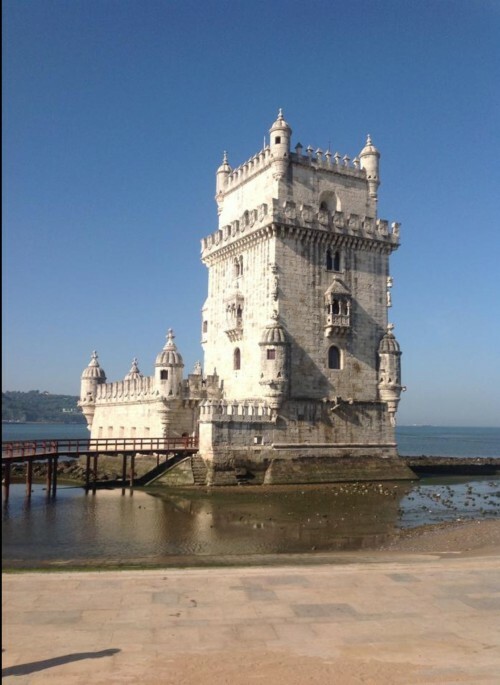 Standing sentinel on the Tagus River is the Belem Tower, built in the 16th century to defend Lisbon’s harbour. Looking much like the rook from a chess game, you can climb the stairway of the tower to enjoy great views over the neighbouring Jeronimos Monastery and the Monument to the Discoveries. The monument commemorates the Portuguese Age of Discovery during the 15th and 16th centuries, with notable explorers, monarchs, artists and scientists represented on the structure. Take the elevator to the top of the monument for spectacular views over the Tagus River, before heading across the road to the historic monastery with its stunning architecture. The area is also home to many museums – if you only have time to visit one museum here, the Museu dos Coches (the Coach Museum) houses a fabulous collection from the 17th century, including some spectacular baroque examples. Do not leave the Belem area before stopping in at Pastéis de Belém to indulge your sweet tooth in a pastel de nata, the famous Portugese egg custard tart pastry. Another culinary must while you are in Lisbon is to sample the world-class seafood. Hop aboard a ferry at the Terminal Cruzeiros de Alcantara and head across to Vale Do Rio Restaurant in Almada – just a short stroll from where you disembark. Treat yourself to a lunch-time feast of prawns, clams, crabs and lobster washed down with the vinho verde, the deliciously light Portugese green wine. Depending on your inclination, your afternoon could include some retail therapy along Lisbon’s beautiful wide boulevards. But if shopping is not high on your agenda, there are plenty of sights to see. St George’s Castle sits atop the highest hill in Lisbon and, if you’re feeling energetic, is a decent hike upwards on foot. 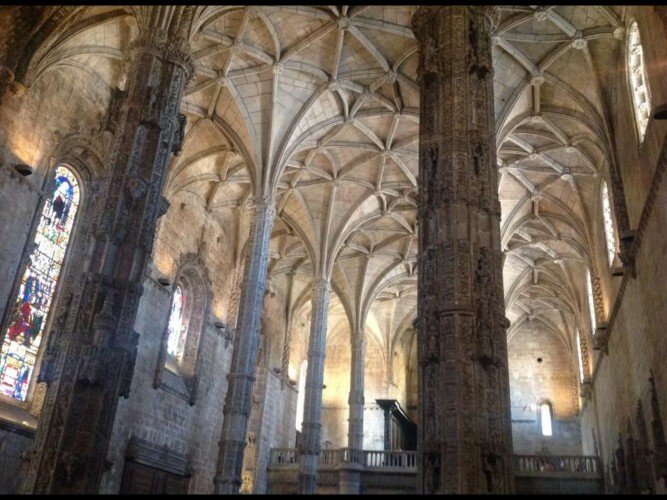 You can take a brief respite on your way up or down the hill to visit the Cathedral and, while wandering around the streets of the Alfama district, you may stumble across the National Pantheon. If you are visiting on a Tuesday or Saturday, be sure to take a look at the nearby Lisbon Flea Market, which runs from dawn to dusk, and where you can pick up some exquisite hand-made artisan goods. No visit to Lisbon would be complete without seeing a performance of the traditional Fado music. With its sad, mournful songs and powerful performances it is the soul music of Portugal. Café LUSO at Travessa da Queimada, n.º 10 Bairro Alto is open everyday from 7.30 pm to 2 am and features sessions by three female and three male resident singers with accompaniment by Portuguese classical guitars and bass. But once you step out of the gloom of the club into the cobblestoned streets, the magic that is Lisbon and its inhabitants await you. Join the locals in a bar watching the soccer on the television, or take a stroll down towards the waterfront. Some cities just get better the longer you stay. So linger awhile and soak up the atmosphere, Lisbon won’t disappoint.